HomeENVIRONMENTThe link between high cancer rates in Napa Valley and pesticide-laden wine vineyards. 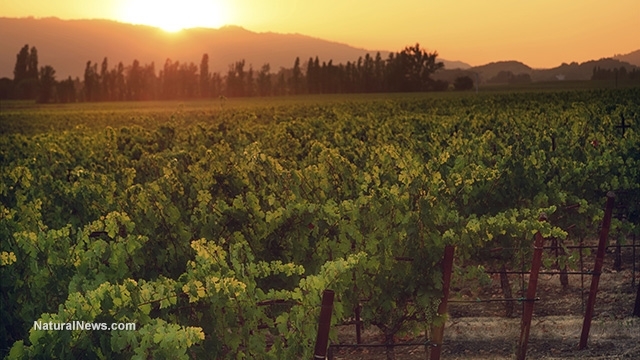 The link between high cancer rates in Napa Valley and pesticide-laden wine vineyards. Residents living in Napa County California are at an increased risk for many different cancers. A new eight page health report released by the Cancer Registry of Greater California finds that Napa Valley is a cancer cluster, harboring high rates of people suffering with cancer. Reports like these should sound the alarm and motivate us to investigate the environmental causes. We can no longer blindly proclaim that cancer runs in the family and there’s nothing that we can do. Carcinogens are being used en masse, without our consent – constantly approved all in the name of SCIENCE! These carcinogens are being mass produced and sprayed all over the crops and the land, all for CORPORATE INTEREST. The gravest problem that is being swept under the rug is the issue of pesticide-laden vineyards, polluting the water and the soil of Napa Valley. These silent toxins are infiltrating the cells of the region’s people, overburdening people’s bodies with unsafe, unstudied, compounding, and intermixing chemicals. Studies on pesticides in other countries have yielded startling findings. For example, hair samples taken from schoolchildren in the French region of Gironde show the presence of 40 dangerous chemicals linked to neighboring vineyards that rely heavily on pesticide spraying. The region is suffering from abnormal leukemia rates; overall the region has a 20 percent higher leukemia rate than the rest of the country. The real bombshell is that the childhood leukemia rates are a nasty 500 percent higher right down in the “pristine” wineregion of Sauternes. By studying these cancer clusters, it becomes obvious that pesticide intense regions come at a cost – increased cancer and childhood death. This is what modern day “science” have become – death machines, sacrificing human life for the advancement of industry. Will we wake up in time and see the hell we are creating on this beautiful planet?